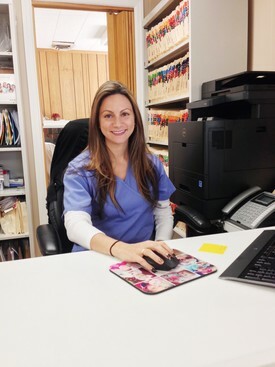 Graduated from the University of Medicine and Dentistry of New Jersey in 2009, Catalina is our primary dental hygienist and loves working with patients to maintain their oral health. You can enjoy the benefits of her vast experience and gentle approach to hygiene in both of our office locations. She has worked in the dental field for over ten years and started her career as a dental assistant. In her spare time, Catalina enjoys spending time with her toddler, Zoe, and family. Registered Dental Assistant since 2001, Lauren has been with our practice since 2008, and has over 10 years expierrence in dental office management. She obtained her Bachelor of Science in Business Management and Finance in 2006, from the University of Phoenix and continued her education receiving a Master of Science in Healthcare Informatics in 2013, from the University of Central Florida. Call Lauren for all of your dental insurance and billing questions, she is always eager to help! 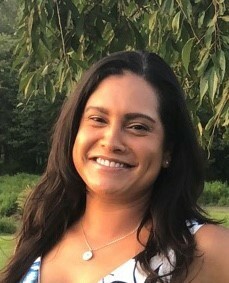 In her spare time, Lauren enjoys watching football and movies, bike riding, and spending time with her her two sons Maverick and Dawkin, and her husband Ryan. 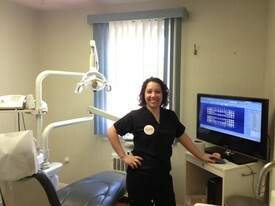 Katrina started her dental career as a trained dental assistant close to 20 years ago. As a assistant she fell in love with dentistry. In 2006, Katrina graduated the dental hygiene program with high honors at Middlesex County College. Her patients know her as a gentle and thorough hygienist. When Katrina isn’t working she likes spending time with her two sons and being active outdoors and working out. Anna and Dr. Faridnia have been working together for over 10 years, and have a mutual goal of providing our patients with the highest level in dental hygiene care. Anna is a mother of two amazing children, and enjoys traveling and spending time with her family. Cheryl comes to us with several years of orthodontic office experience. Her wonderful disposition, and awesome personality make her the perfect person to have as our Front Desk Support. In her spare time, Cheryl loves to be with her grandchildren and travel to visit with them. Chase Thompson, D.D.S. joined the American Dental Arts team as an associate general dentist in 2018. Like Dr. Faridnia, he is an alum of New York University’s College of Dentistry and shares her passion for problem-solving, patient-centered care, and clinical excellence. A native of Arizona, Dr. Thompson was first a student of music, receiving his Bachelor of Fine Arts from the University of Arizona before relocating to New York City to begin a career as a manager for opera singers, stage directors, instrumentalists and conductors. 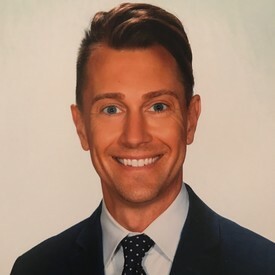 He operated the US division of a London-based agency for a time, before feeling the call to reinvest and reinvent himself as a clinician and oral healthcare provider. Dr. Thompson has felt truly rewarded by the years of patient care which followed and has come to feel especially drawn and committed to the idea of restoration -- whether it is renovating his NYC apartment, rehabbing a vintage flea market find, or rebuilding his patients’ dentition, his core belief is that each has the right to be restored to look and function at its best. Holding certification with Invisalign© and special training with Cerec© and iTero© 3D-digital imaging, Dr. Thompson has embraced the contributions technology and digital innovation have made to the field of dentistry, while daily refining the handmade craftsmanship and artistry that has always a part of the profession. He is so pleased to be a part of this practice and looks forward to seeing you at your next visit!